Awright troops, my name’s Jamie and I’ve been from Glasgow my entire life. Currently I’m doing my PhD at the University of Glasgow, researching the way viscosity in the solar atmosphere interacts with the magnetic field there. As part of this work I attempted to secure funding for a research trip to the sun but apparently it’s too warm this time of year, even at night. 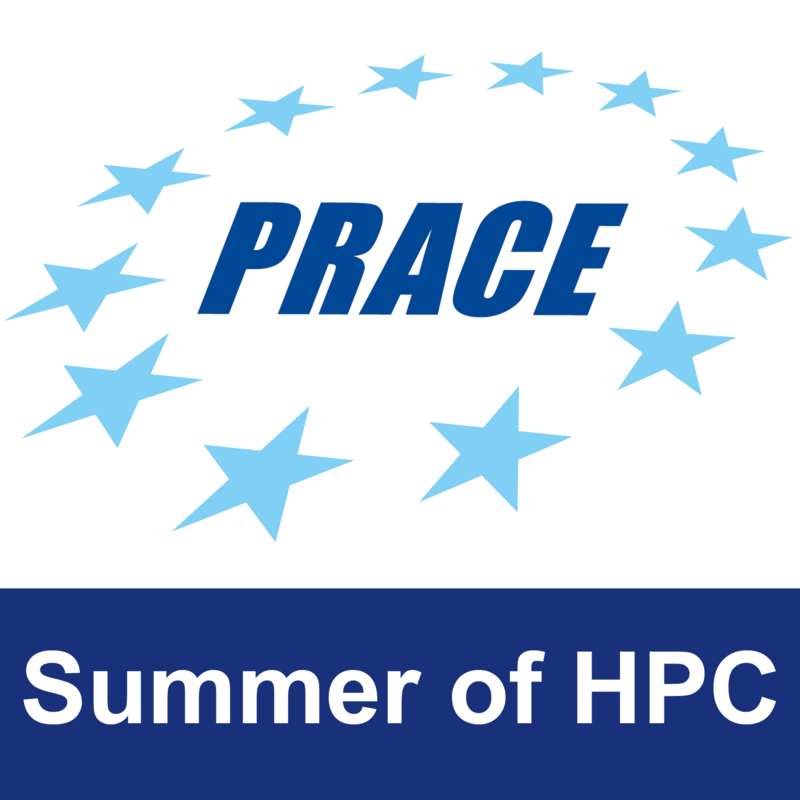 Since my funding fell through, I decided to feed my inner masochist and apply for the PRACE Summer of HPC (high performance computing) program, mainly for three reasons. Firstly, being forced to be paid to work on a fascinating project on radiosity in computer graphics in another country sounds simply awful. Secondly, I unfortunately love playing music, as you can read below, so the idea of heading to Dublin, a hub of Irish folk music, fills me with the most foul feelings of dread. Lastly, I really do hate people so traveling to Ostrava in the Czech Republic to meet and work with a horribly wonderful bunch of people just seems like hell. Seriously though, as we say in Glasgow, I’m pure mad buzzin’, pal. So you already know my main work in my PhD, in a field called magnetohydrodynamics, but I’ve dabbled in a fair few areas over the years. I did my undergraduate integrated masters in both Maths and Physics so for my Masters thesis I investigated double diffusive convection, where a difference in temperature and a difference in salinity in water, for example, leads to some interesting fluid flows and some rather cool patterns. Moving a little bit earlier, my Bachelors dissertation focused on 2-dimensional topological quantum field theories. Turns out 2D topological quantum field theories are not so interesting to me and not particularly useful to anybody else. At the tail end of 2013 I picked up the fiddle (violin) again and started playing traditional music. First the kind of cheesy trad(itional) tunes you find at a typical Scottish ceilidh, then I branched into the wonderful Glasgow trad session scene (sessions are held in pubs or cafes and you go along and just sit down and play, often for a few free drinks, kind of like a cooperative open mic night) and found all sorts of amazing contemporary tunes, along with some banging tunes written yonks ago. In 2015 I was privileged to lead the Glasgow University Folk Music Group and since then my friend Ayden and I have started a duo, creatively named Jamie ‘n’ Ayden. We’ve played in a number of gigs around Glasgow, playing mainly our own compositions and we even managed to find ourselves on the radio during this years Celtic Connections, Glasgow’s folk music festival! Check out one of our tracks below and you can find our Facebook page here, our soundcloud here and some of my own compositions here! Just recently I’ve gotten extremely interested in computer art, specifically generative art produced by ideas from mathematics and the natural sciences. It’s a wonderful mix of coding, science and art that allows me to express myself creatively, beyond my music and allows me to explore artistic ideas without being bogged down by my truly abysmal drawing skills. As part of a talk I recently gave on this kind of computer art, I wrote a few wee online toys for making some of the neat images you can check out below. They’re nice to look at but it’s more fun to go play with them yourself so go check them out here! 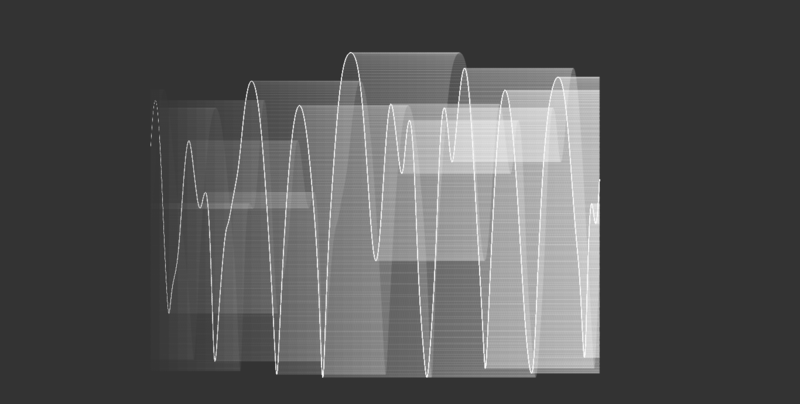 Sound wave-like pattern from the y-coordinate of a double pendulum. This is an example of taking data from a chaotic system and making it visually interesting. Have a wee play about yourself here. A Julia fractal, one of the classic examples of mathematical art. This was made while trying to introduce myself to the web programming tool WebGL so please don’t look at the code on my github if you’re that way inclined. It’s awful. Do play with the fractals yourself here though! Chaotic particle paths in the famous example of chaos theory, the Lorenz attractor. 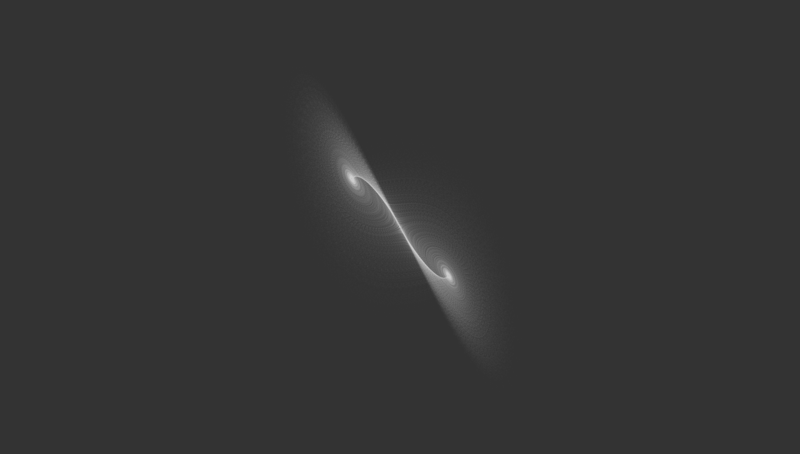 This was one of the first ever examples of a chaotic system but is extremely simple, consisting of just three short equations and giving some really interesting behaviour. As with the rest of these pieces, you should so totes omg go check it out here. Fractal produced from the regular expression “.*[13|24].*”. Have a play with the randomly generated ones over here! You can read about these and some of my other projects on my personal blog at jamiejquinn.com!